Professor Xiaofang Zhou's research interests are in big data analytics, spatial and multimedia databases, information system integration, data quality management, and high performance query processing. 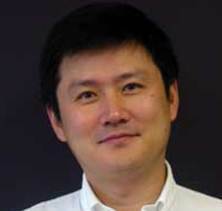 Professor Xiaofang Zhou is Professor of Computer Science in the School of Information Technology and Electrical Engineering at the University of Queensland. He is the Head of UQ Data and Knowledge Engineering research division. Professor Zhou received his BSc and MSc degrees in Computer Science from Nanjing University in 1984 and 1987 respectively, and PhD in Computer Science from the University of Queensland in 1994. From 1994 to 1999, he worked as a Senior Research Scientist and Project Leader in CSIRO. His research is focused on finding effective and efficient solutions to managing, integrating and analysing very large amount of complex data for business and scientific applications. He is the current Chair of IEEE Technical Committee on Data Engineering. Gertz, Michael, Renz, Matthias, Zhou, Xiaofang, Huang, Yan, Lu, Chang-Tien and Ravada, Siva (2017) Preface. Lecture Notes in Computer Science (including subseries Lecture Notes in Artificial Intelligence and Lecture Notes in Bioinformatics), 10411 LNCS V-VI. Ozsu, Tamer, Zhou, Xiaofang, Li, Feifei, Shim, Kyuseok and Zheng, Kai (2016) Message from the general chairs and program committee chairs. Lecture Notes in Computer Science (including subseries Lecture Notes in Artificial Intelligence and Lecture Notes in Bioinformatics), 9931 LNCS V-VI. Ozsu, Tamer, Zhou, Xiaofang, Li, Feifei, Shim, Kyuseok and Zheng, Kai (2016) Message from the general chairs and program committee chairs. Lecture Notes in Computer Science (including subseries Lecture Notes in Artificial Intelligence and Lecture Notes in Bioinformatics), 9932 LNCS V-VI. Huynh, Quyet-Thang, Li, Qing, Renz, Matthias, Shahabi, Cyrus and Zhou, Xiaofang (2015) Preface. Lecture Notes in Computer Science (including subseries Lecture Notes in Artificial Intelligence and Lecture Notes in Bioinformatics), 9049 . Huynh, Quyet-Thang, Li, Qing, Renz, Matthias, Shahabi, Cyrus and Zhou, Xiaofang (2015) Preface. Lecture Notes in Computer Science (including subseries Lecture Notes in Artificial Intelligence and Lecture Notes in Bioinformatics), 9050 . Liddle, Stephen W., Schewe, Klaus-Dieter and Zhou, Xiaofang (2011) Preface. Lecture Notes in Computer Science (including subseries Lecture Notes in Artificial Intelligence and Lecture Notes in Bioinformatics), 6860 LNCS PART 1: . Tanaka, Katsumi, Zhou, Xiaofang, Zhang, Min and Jatowt, Adam (2010) Proceedings of the 4th Workshop on Information Credibility, WICOW '10: Foreword. Proceedings of the 4th Workshop on Information Credibility, WICOW '10, . Kotagiri, Ramamohanarao, Lin, Xuemin, Zhou, Xiaofang and Yokota, Haruo (2009) Message from the DASFAA 2009 Chairs. Lecture Notes in Computer Science (including subseries Lecture Notes in Artificial Intelligence and Lecture Notes in Bioinformatics), 5463 . Li, Qing, Feng, Ling, Pei, Jian, Wang, Sean X., Zhou, Xiaofang and Zhu, Qiaoming (2009) Lecture Notes in Computer Science (including subseries Lecture Notes in Artificial Intelligence and Lecture Notes in Bioinformatics): Preface. Lecture Notes in Computer Science (including subseries Lecture Notes in Artificial Intelligence and Lecture Notes in Bioinformatics), 5446 . Liu, Kuien, Deng, Ke, Ding, Zhiming, Li, Mingshu and Zhou, Xiaofang (2009) MOIR/MT: Monitoring largescale road network traffic in real-time. Proceedings of the VLDB Endowment, 2 2: 1538-1541. Luo, Jizhou, Zhou, Xiaofang, Zhang, Yu, Shen, Heng Tao and Li, Jianzhong (2007) Selectivity estimation by batch-query based histogram and parametric method. Conferences in Research and Practice in Information Technology Series, 63 93-102. Asadi S., Zhou X., Jamali H.R. and Mofrad H.V. (2007) Location-based search engines tasks and capabilities: A comparative study. Webology, 4 4: . Xu, Jian, Lin, Xuemin and Zhou, Xiaofang (2004) Space efficient quantile summary for constrained sliding windows on a data stream. Lecture Notes in Computer Science (including subseries Lecture Notes in Artificial Intelligence and Lecture Notes in Bioinformatics), 3129 34-44. Zhou, X. F., Prasher, S., Sun, S. and Xu, K. (2004) Multiresolution spatial databases: Making web-based spatial applications faster. Advanced Web Technologies And Applications, 3007 36-47. Zhou, Xiaofang, Zhang, Yanchun and Orlowska, Maria (2003) Preface. Lecture Notes in Computer Science (including subseries Lecture Notes in Artificial Intelligence and Lecture Notes in Bioinformatics), 2642 . Lu, Sang-Lu, Zhou, Xiao-Fang, Chen, Gui-Hai and Xie, Li (2002) Spatial information retrieval and database generalization. Ruan Jian Xue Bao/Journal of Software, 13 8: 1534-1539. Liu, Chengfei, Zhou, Xiaofang, Cao, Jinli and Lin, Eshed Xuemin (2000) On incremental global update support in cooperative database systems. Informatica, 24 1: 27-31. Zhou, Xiao bo, Xie, Li and Zhou, Xiao fang (1999) Model of integration of data and computational services on spatial internet marketplace. Chinese Journal of Advanced Software Research, 6 4: 350-358. Liu, Chengfei, Orlowska, Maria, Zhou, Xiaofang and Lin, Xuemin (1999) Confirmation: a solution for non-compensatability in workflow applications. Proceedings - International Conference on Data Engineering, . Zhou, XF, Abel, DJ and Truffet, D (1997) Data partitioning for parallel spatial join processing. Advances In Spatial Databases, 1262 178-196. Lv, Zhongjian, Xu, Jiajie, Zheng, Kai, Yin, Hongzhi, Zhao, Pengpeng and Zhou, Xiaofang (2018). LC-RNN: A deep learning model for traffic speed prediction. In: Proceedings of the 27th International Joint Conference on Artificial Intelligence. 27th International Joint Conference on Artificial Intelligence (IJCAI 2018), Stockholm, Sweden, (3470-3476). 13-19 July 2018. Chang, Xiaojun, Nie, Feiping, Ma, Zhigang, Yang, Yi and Zhou, Xiaofang (2015). A convex formulation for spectral shrunk clustering. In: Proceedings of the twenty-ninth AAAI conference on artificial intelligence and the twenty-seventh innovative applications of artificial intelligence conference. 29th AAAI Conference on Artificial Intelligence, AAAI 2015 and the 27th Innovative Applications of Artificial Intelligence Conference, IAAI 2015, Austin, Texas, United States, (2532-2538). 25-30 January 2015. Kohler, Henning, Link, Sebastian and Zhou, Xiaofang (2015). Possible and certain SQL keys. In: Proceedings of the 41st International Conference on Very Large Data Bases. International Conference on Very Large Data Bases, Kohala Coast, Hawaii, (1118-1129). 31 August - 4 September 2015. Zhang, Ruojing, Jayawardene, Vimukthi, Indulska, Marta, Sadiq, Shazia and Zhou, Xiaofang (2014). A data driven approach for discovering data quality requirements. In: Proceedings of the Thirty Fifth International Conference on Information Systems: ICIS 2014. ICIS 2014: 35th International Conference on Information Systems, Auckland, New Zealand, (). 14-17 December 2014. Zhou, Xiaofang (2014). General chair's welcome message. In: 25th Australasian Database Conference, ADC 2014, Brisbane, QLD; Australia, (viii-viii). 14 July 2014 - 16 July 2014. Su, Han, Zheng, Kai, Zeng, Kai, Huang, Jiamin and Zhou, Xiaofang (2014). STMaker-A system to make sense of trajectory data. In: H. V. Jagadish and Aoying Zhou, Proceedings of the 40th International Conference on Very Large Data Bases. 40th International Conference on Very Large Data Bases (VLDB), Hangzhou, China, (1701-1704). 1-5 September 2014. Wang, Haozhou, Su, Han, Zheng, Kai, Sadiq, Shazia and Zhou, Xiaofang (2013). An effectiveness study on trajectory similarity measures. In: Wang, Hua and Zhang, Rui , Proceedings of the Twenty-Fourth Australasian Database Conference (ADC 2013). 24th Australasian Database Conference, ADC 2013, Adelaide, Australia, (13-22). February 2013. Han, Yahong, Yang, Yi and Zhou, Xiaofang (2013). Co-regularized ensemble for feature selection. In: IJCAI 2013 - Proceedings of the 23rd International Joint Conference on Artificial Intelligence. 23rd International Joint Conference on Artificial Intelligence, IJCAI 2013, Beijing, China, (1380-1386). 3-9 August 2013. Huynh, D. T. and Zhou, X. (2013). Exploiting a proximity-based positional model to improve the quality of information extraction by text segmentation. In: H. Wang and R. Zhang, 24th Australasian Database Conference, ADC 2013. 24th Australasian Database Conference, ADC 2013, Adelaide, SA, Australia, (23-32). 29 January - 1 February 2013. Shim, Kyuseok, Cha, Sang Kyun, Chen, Lei, Han, Wook-Shin, Srivistava, Divesh, Tanaka, Katsumi, Yu, Hwanjo and Zhou, Xiaofang (2012). Data management challenges and opportunities in cloud computing. In: Sang-goo Lee, Zhiyong Peng, Xiaofang Zhou, Yang-Sae Moon, Rainer Unland and Jaesoo Yoo, Database Systems for Advanced Applications, Proceedings Part II. 17th International Conference on Database Systems for Advanced Applications (DASFAA 2012), Busan, South Korea, (323-323). 15-19 April 2012. Zhou, Xiaofang and Jiang, Jingjue (2012). The First International Workshop on Web-Based Geographic Information Management (WGIM 2011) chairs' message. In: International Workshops on Web-Age Information Management, WAIM 2011, Wuhan, China, (VI-VI). 14 September 2011 - 16 September 2011. Li, Zechao, Yang, Yi, Liu, Jing, Zhou, Xiaofang and Lu, Hanqing (2012). Unsupervised feature selection using nonnegative spectral analysis. In: Proceedings of the Twenty-Sixth AAAI Conference on Artificial Intelligence. Twenty-Sixth AAAI Conference on Artificial Intelligence (AAAI-12), Toronto, Canada, (1026-1032). 22-26 July 2012. Yang, Yi, Shen, Heng Tao, Nie, Feiping, Ji, Rongrong and Zhou, Xiaofang (2011). Nonnegative spectral clustering with discriminative regularization. In: Wolfram Burgard, Proceedings of the Twenty-Fifth AAAI Conference on Artificial Intelligence, AAAI 2011. Twenty-Fifth AAAI Conference on Artificial Intelligence, San Francisco, California, USA, (555-560). 7-11 August 2011. Li, Zhixu, Sitbon, Laurianne and Zhou, Xiaofang (2011). PartSS: An Efficient Partition-based Filtering for Edit Distance Constraints. In: Heng Tao Shen and Yanchun Zhang, Database Technologies 2011 : Twenty-Second Australasian Database Conference : (ADC 2011). 22nd Australasian Database Conference, ADC 2011, Perth, WA Australia, (103-112). 17 - 20 January 2011. Zhu, Yingying, Sharaf, Mohamed A. and Zhou, Xiaofang (2011). Scheduling with freshness and performance guarantees for web applications in the cloud. In: 22nd Australasian Database Conference - ADC 2011, Perth, Australia, (). 17-20 January 2011. Yang, Yi, Shen, Heng Tao, Ma, Zhigang, Huang, Zi and Zhou, Xiaofang (2011). l2,1-norm regularized discriminative feature selection for unsupervised learning. In: Toby Walsh, Proceedings of the 22nd International Joint Conference on Artificial Intelligence. International Joint Conference on Artificial Intelligence - IJCAI 2011, Barcelona, Catalonia, Spain, (1589-1594). 16-22 July 2011. Zhou, Xiaofang and Köhler, Henning (2010). Rebuilding the world from views. In: Lei Chen, Changjie Tang, Jun Yang and Yunjun Gao, The 11th International Conference on Web-Age Information Management, WAIM 2010, Jiuzhaigou, China, (2-2). 15-17 July 2010. Fung, G.P.C. and Zhou, X. (2008). BIOLISM - A system for searching and mining bio-literatures. In: Arthur, J. and Ng, S-K., Genome Informatics 2008. 19th International Conference on Genome Informatics, Gold Coast , Australia, (1-2). 1-3 December, 2008. Nakasumi M. and Zhou X. (2007). A case based indexing for location based search. In: WMSCI 2007 - The 11th World Multi-Conference on Systemics, Cybernetics and Informatics, Jointly with the 13th International Conference on Information Systems Analysis and Synthesis, ISAS 2007 - Proc.. 11th World Multi-Conference on Systemics, Cybernetics and Informatics, WMSCI 2007, Jointly with the 13th International Conference on Information Systems Analysis and Synthesis, ISAS 2007, Orlando, FL, (159-164). July 8, 2007-July 11, 2007. Zhou, Xiangmin, Zhou, Xiaofang and Shen, Heng Tao (2007). Efficient Similarity Search by Summarization in Large Video Database. In: James Bailey and Alan Fekete, Proceedings of the Eighteenth Australasian Database Conference (ADC 2007). 18th Australasian Database Conference (ADC 2007), Ballarat, Victoria, Australia, (161-167). 29 January - 2 February, 2007. Luo, J., Zhou, X., Zhang, Y., Shen, H. T. and Li, J. (2007). Selectivity estimation by batch-query based histogram and parametric method. In: J. Bailey and A. Fekete, Proceedings of the Eighteenth Australasian Database Conference (ADC 2007). Eighteenth Australasian Database Conference, Ballarat , Australia, (93-102). 29 January - 2 February 2007. Shen H.T., Zhou X., Shao J. and Huang Z. (2007). The University of Queensland at TRECVID 2007 search task. In: 2007 TREC Video Retrieval Evaluation Notebook Papers. TREC Video Retrieval Evaluation, TRECVID 2007, Gaithersburg, MD, (). November 5, 2007-November 6, 2007. Shen, Heng Tao, Zhou, Xiaofang, Huang, Zi, Shao, Jie and Zhou, Xiangmin (2007). UQLIPS: A real-time near-duplicate video clip detection system. In: C. Koch, J. Gehrke, M. N.Garofalakis, D. Srivastava, K. Aberer, A. Deshpande, D. Florescu, C. Y. Chan, V. Ganti, C. Kanne, W. Klas and E. J. Neuhold, Proceedings of the 33rd International Conference on Very Large Data Bases (VLDB 2007). 33rd International Conference on Very Large Data Bases (VLDB 2007), Vienna, Austria, (1374-1377). 23-28 September, 2007. Shen, Heng Tao, Zhou, Xiaofang, Huang, Zi, Shao, Jie and Zhou, Xiangmin (2007). UQLIPS: A real-time near-duplicate video clip detection system. In: , , (1374-1377). .
Huang, Zi, Zhou, Xiaofang, Song, Dawei and Bruza, Peter (2006). Dimensionality reduction in patch-signature based protein structure matching. In: Database Technologies 2006 - Proceedings of the Seventeenth Australasian Database Conference, ADC 2006. 17th Australasian Database Conference, ADC 2006, , , (89-97). January 16, 2006-January 19, 2006. Huang, Z, Zhou, X, Song, and Bruza, P. (2006). Dimensionality reduction in patch-signature based protein structure matching. In: G. Dobbie and J. Bailey, Proceedings of 17th Australasian Database Conference (ADC2006). 17th Australasian Database Conference (ADC2006), Tasmania, Australia, (89-98). 16-19 January, 2006. Xu, G., Zhang, Y. and Zhou, X (2006). Discovering task-oriented usage pattern for web recommendation. In: G. Dobbie and J. Bailey, Proceedings of 17th Australasian Database Conference (ADC2006). 17th Australasian Database Conference (ADC2006), Tasmania, Australia, (167-174). 16-19 January, 2006. Deng, Ke and Zhou, Xiaofang (2005). Expansion-based algorithms for finding single pair shortest path on surface. In: , , (151-166). .
Zhang, Y., Xu, G and Zhou, X. (2005). A latent usage approach for clustering web transaction and building user profile. In: Xue Li, Shuliang Wang and Zhao Yang Dong, Advanced Data Mining & Applications: First International Conference, ADMA 2005, Proceedings. First International Conference on Advanced Data Mining & Applications, ADMA 2005, Wuhan China, (31-42). 22-24 July 2005. Xu, G., Zhang, Y. and Zhou, X. (2005). A web recommendation technique based on probabilistic latent semantic analysis. In: A. H. H. Ngu, M. Kitsuregawa, E. J. Neuhold, J. Y. Chung and Q. Z. Sheng, Web Information Systems Engineering - WISE 2005. 6th International Conference on Web Information Systems Engineering - WISE2005, New York, USA, (15-28). 20-22 November, 2005. Xu, Guandong, Zhang, Yanchun, Ma, Jiangang and Zhou, Xiaofang (2005). Discovering user access pattern based on probabilistic latent factor model. In: Hugh E. Williams and Gill Dobbie, Database Technologies 2005: Sixteenth Australasian Database Conference (ADC2005). Sixteenth Australasian Database Conference (ADC2005), Newcastle, N.S.W., Australia, (27-35). 31 January - 3 February 2005. Huang, H.Z., Zhou, X. and Song, (2005). High dimensional indexing for protein structure matching using bowties. In: Y. Phoebe Chen and L. Wong, Proceedings of 3rd Asia Pacific Bioinformatics Conference (APBC 2005). 3rd Asia Pacific Bioinformatics Conference (APBC 2005), Singapore, (21-30). 17-21 January, 2005. Xu, G., Zhang, Y. and Zhou, X. (2005). Towards user profiling for web recommendation. In: S. Zhang and R. Jarvis, AI2005: Advanced in Artificial Intelligence. 18th Australia Joint Conference on Artificial Intelligence AI2005, Sdyney, Australia, (415-424). 5-9th December, 2005. Xu, G, Zhang, Y. and Zhou, X. (2005). Using probabilistic latent semantic analysis for web page grouping. In: Jiawei Han and Hiroyuki Kawano, Proceedings of the 15th International Workshop on Research Issues in Data Engineering: Stream Data Mining and Applications (RIDE-SDMA'05). 15th International Workshop on Research Issues in Data Engineering: Stream Data Mining and Applications (RIDE-SDMA'05), Tokyo Japan, (29-36). 3-4 April 2005. Li, Y, Jin, J S and Zhou, X. (2005). Video matching using binary signature. In: W.K. Cham and K.M. Lam, 2005 International Symposium on Intelligent Signal Processing & Communication Systems, ISPACS 2005. 2005 International Symposium on Intelligent Signal Processing & Communication Systems, ISPACS 2005, Hong Kong, (317-320). 13-16 December, 2005. Sun, S., Prasher, S. B. and Zhou, X. (2004). A scaleless data model for direct and progressive spatial query processing. In: S. Wang, K. Tanaka, S. Zhou, T. W. Ling, J. Guan, D. Yang, F. Grandi, E. Mangina, I.-Y. Song and H. C. Mayr, Conceptual Modeling for Advanced Application Domains: Proceedings of the ER 2004 Workshops CoMoGIS, CoMWIM, ECDM, CoMoA, DGOV, and eCOMO. The Twenty Third International Conference on Conceptual Modeling (ER 2004), Shanghai, China, (148-159). 8-12 November 2004. Bordes, N. S., Pailthorpe, B., Hall, J., Loy, T. H., Williams, M., Ulm, S. G., Zhou, X. and Fletcher, R. (2004). Computational archaeology. In: M. Papka, Proceedings of WACE 2004. Workshop on Advanced Collaborative Environments (WACE 2004), Nice, France, (1-6). 23 September 2004. Liu, Ying, Zhou, Xiaofang and Ma, Wei-Ying (2004). Extraction of texture features from arbitrary-shaped regions for image retrieval. In: W. Grosky and L. Chen, Proceedings of the 2004 IEEE International Conference on Multimedia and Expo, ICME 2004. The 2004 IEEE International Conference on Multimedia and Expo (ICME 2004), Taipei, Taiwan, (1891-1894). 27-30 June 2004. Prasher, S. B. and Zhou, X. (2004). Multiresolution amalgamation: Dynamic spatial data cube generation. In: Klaus-Dieter Schewe and Hugh Williams, Database Technologies 2004: Proceedings of the Fifteenth Australasian Database Conference (ADC 2004). The Fifteenth Australasian Database Conference (ADC 2004), Dunedin, New Zealand, (103-111). 19-22 January 2004. Xu, Jian, Lin, Xuemin and Zhou, Xiaofang (2004). Space efficient quantile summary for constrained sliding windows on a data stream. In: Q. Li, G. Wang and L. Feng, Advances in Web-Age Information Management. The Fifth International Conference on Web-Age Information Management (WAIM 2004), Dalien, China, (34-44). 15-17 July 2004. Liu, Y. and Zhou, X. (2003). A simple texture descriptor for texture retrieval. In: 2003 International Conference on Communication Technology, ICCT 2003. 2003 International Conference on Communication Technology, ICCT 2003, Beijing China, (1662-1665). 9 - 11 April 2003. Prasher, S. B. and Zhou, X. (2003). Efficient update and retrieval of objects in a multiresolution geospatial database. In: S. Nittel and D. Gunopulos, Proceedings of the Fifteenth International Conference on Scientific and Statistical Database Management. 15th International Conference on Scientific and Statistical Database Management, Cambridge, Massachusetts, (193-201). 9-11 July 2003. Lin, X., Liu, Q., Yuan, Y. and Zhou, X. (2003). Multiscale histograms: Summarizing topological relations in large spatial datasets. In: J. Freytag, P. Lockemann, S. Abiteboul, M. Carey, P. Selinger and A. Heuer, Proceedings of the 29th International Conference on Very Large Databases. The 29th International Conference on Very Large Databases, Berlin, Germany, (814-825). 9-12 September 2003. Lin, Xuemin, Liu, Qing, Yuan, Yidong and Zhou, Xiaofang (2003). Multiscale histograms: Summarizing topological relations in large spatial datasets. In: Proceedings - 29th International Conference on Very Large Data Bases, VLDB 2003. 29th International Conference on Very Large Data Bases, VLDB 2003, Berlin Germany, (814-825). 9-12 September 2003. Liu, Y., Ranganath, S. and Zhou, X. (2002). Comparison of wavelet and cosine basis for representation of arbitrarily shaped image segments. In: Y. Liu, Proceedings of the International Conference on Telecommunications 2002. International Conference on Telecommunications 2002, Beijing, (441-445). 23-26 June, 2002. Xu, K. and Zhou, X. (2002). Secondary storage terrain visualization in a client-server environment: A survey. In: J. Li, K. Kato and H. Kameda, Proceedings of the IASTED International Conference: Networks, Parallel and Distributed Processing, and Applications. IASTED International Conference on Networks, Parallel and Distrstributed Processing, and Applications, Tsukuba, Japan, (206-210). 1-4 October, 2002. Zhou, Xiaofang, Krum-Heller, A. and Gaede, V. (1999). Generalization of spatial data for web presentation. In: G.H. Young, World Wide Web: Technologies and Applications For The New Millennium. APWEB 1999, Hong Kong, (115-121). 28-30 September 1999. Liu, C., Zhou, X., Cao, J. and Lin, X. (1999). Global transaction management in a cooperative database system. In: George G. Lasker and Yanchun Zhang, The Proceedings of the 11th International Conference on Systems Research, Informatics and Cybernetics. DWAC0S'99, Baden-Baden, Germany, (73-78). 3-4 August 1999. Zhou, Xiaofang, Zhang, Yanchun, Liu, Chengfei and Lin, Xuemin (1999). On the optimization of complex spatial queries. In: Yanchun Zhang, Marek Rusinkiewicz and Yahiko Kambayashi, The Proceedings of the Second International Symposium on Cooperative Database Systems for Advanced Applications. CODAS'99, Wollongong, Australia, (251-262). 27-28 March 1999. Zhang, Yanchun, Xiao, Jitian and Zhou, Xiaofang (1997). A declustering algorithm for minimising spatial join cost. In: , , (363-372). .
Zhou, Xiaofang and Orlowska, Maria E. (1995). Handling data skew in parallel hash join computation using two-phase scheduling. In: Proceedings of the IEEE 1st International Conference on Algorithms and Architectures for Parallel Processing. Part 1 (of 2), , , (527-536). April 19, 1995-April 21, 1995. Lin, Xuemin, Orlowska, Maria E. and Zhou, Xiaofang (1995). Using parallel semi-join reduction to minimize distributed query response time. In: Proceedings of the IEEE 1st International Conference on Algorithms and Architectures for Parallel Processing. Part 1 (of 2), , , (517-526). April 19, 1995-April 21, 1995. Zhou Xiaofang and Orlowska Maria E. (1993). Dynamic approach for handling data skew problems in parallel hash join computation. In: Proceedings of the 1993 IEEE Region 10 Conference on Computer, Communication, Control and Power Engineering (TENCON '93). Part 1 (of 5), Beijing, China, (133-137). October 19, 1993-October 21, 1993. Database systems for advanced applications (2015) . Edited by Renz, Matthias, Shahabi, Cyrus, Zhou, Xiaofang and Cheema, Muhammad Aamir. 20th International Conference on Database Systems for Advanced Applications, DASFAA 2015, 20-23 April 2015, Hanoi, Vietnam. Lecture Notes in Computer Science (including subseries Lecture Notes in Artificial Intelligence and Lecture Notes in Bioinformatics): Preface (2012) . Edited by Sang-goo Lee, Zhiyong Peng, Xiaofang Zhou, Yang-Sae Moon, Rainer Unland and Jaesoo Yoo. 17th International Conference on Database Systems for Advanced Applications (DASFAA 2012), 15-19 April 2012, Busan, South Korea. Advanced Data Mining and Applications (ADMA) (2008) . Edited by Tang, C., Ling, C.X., Zhou, X. and Li, X.. Fourth International Conference on Advanced Data Mining and Applications (ADAMA 2008), 8-10 October, 2008, Chengdu, China. Web Information Systems Engineering - WISE 2008 Workshops (2008) . Edited by Hartmann, S., Zhou, X. and Kirchberg, M.. WISE 2008 International Workshops, 1-4 September, 2008, Auckland, New Zealand. 22nd International Conference on Data Engineering Workshops (ICDE'06) (2006) . Edited by Roger S. Barga and Xiofang Zhou. ICDE'06, 3-7 April, 2006, Georgia, USA. Frontiers of WWW Research and Development: APWeb 2006: 8th Asia-Pacific Web Conference, Harbin, China, January 16-18, 2006. Proceedings (2006) . Edited by X. Zhou, J. Li, H. T. Shen, M. Kitsuregawa and Y. Zhang. APWeb 2006: 8th Asia-Pacific Web Conference, 16-18 January 2006, Harbin, China. Web Information Systems – WISE 2004 :5th International Conference on Web Information Systems Engineering, Brisbane, Australia, November 22-24, 2004 Proceedings (2004) . Edited by Zhou, Xiaofang, Su, Stanley, Papazoglou, Mike P., Orlowska, Maria E. and Jeffery, Keith G.. Web Information Systems – WISE 2004, 22-24 November, 2004, Brisbane, Australia. Database Technologies 2003 (2003) . Edited by K. D. Schewe and X. Zhou. The Fourteenth Australasian Database Conference, 4-7 February, 2003, Adelaide. Selected Papers from the Sixth IFIP 2.6 Working Conference on Visual Database Systems (2003) . Edited by Pearl Pu, Xiaofang Zhou and Qing Li. Sixth IFIP 2.6 Working Conference on Visual Database Systems, 29–31 May, 2002, Brisbane, Australia. Web Technologies and Applications (2003) . Edited by X. Zhou, Y. Zhang and M. E. Orlowska. The Fifth Asia-Pacific Web Conference, 23-25 April, 2003, Xian, China. CRPIT. 5: Proceedings of the Thirteenth Australasian Database Conference (ADC2002) (2002) . Edited by Xiaofang Zhou. Database Technologies 2002, 28 January - 1 February, 2002, Melbourne, Australia. Visual and multimedia information management: IFIP TC2/WG 2.6 sixth Working Conference on Visual Database Systems (2002) . Edited by Xiaofang Zhou and Pearl Pu. IFIP TC2/WG 2.6 Sixth Working Conference on Visual Database Systems, 29-31 May, 2002, Brisbane, Australia. Shen, Heng Tao, Huang, Zi and Zhou, Xiaofang (2009). Real-Time near duplicate video clip detection method. 12/180037. Zhou, Xiaofang (1994). Parallel processing in relational database systems PhD Thesis, School of Computer Science and Electrical Engineering, The University of Queensland. Efficient Spatial Query Processing Using Visula Constraints and Spatial Indices. A study to investigate the impact of visual interface design on user experience in Web-based learning application.